We supply, install and service a large range of American Whirlpool hot tubs from our location in Colchester, Essex. On top of that, we are award winning swimming pool builders with over 30 years of experience in the pool and spa industry. Whatever you desire above ground, inground, indoor or outdoor – with our own in house design and installations team – we’ll make your dream a reality. As an authorised dealer of American Whirlpool we are fully trained for sales and service and can provide you with all the information you need to start enjoying a healthy, hydrotherapy lifestyle. The Merlin Leisure Group was established in 1984 and we have been supplying, installing and servicing a wide range of pool and spa products and equipment to households across the UK. 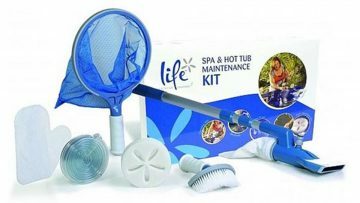 You can purchase all the accessories for your hot tub or sauna from our partner website Stuff4pools They have a large stock list, which is constantly being updated with new products.